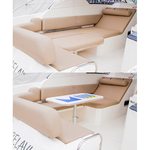 SELAVI is a name of boat Azimut 34 ,which has been produced in 2014. You can rent this yacht from base Sibenik around Sibenik. SELAVI is furnished with 4 sleeping places. 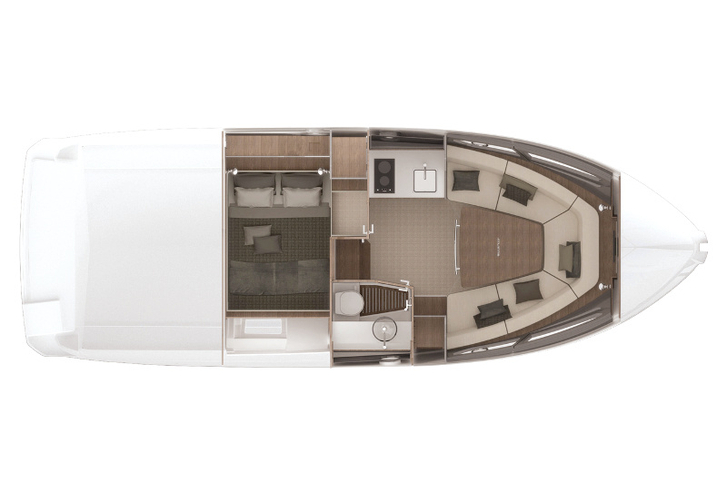 Beds on the yacht are arranged in 4 (2+2) scheme. 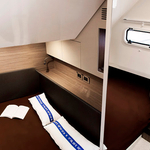 2 cabins are placed inside the yacht SELAVI. 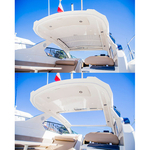 Use our website to find other boats here: Motorboats Sibenik. 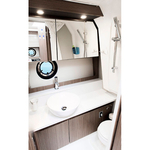 Crew members can feel comfortable on this vessel , because there are 1 heads for their disposal. 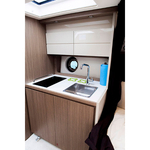 With 600.00 l liters in fuel tank you can sail really far and still be independent because of 185.00 l l. in water tank. 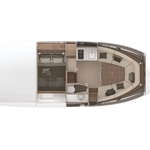 SELAVI is supplied with motor 2x220. Vessel's dimensions are: lenght - 10.25 m , beam - 3.50 m and 0.94 meters of draft. 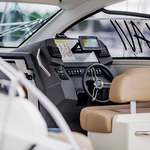 On the yacht you can make use of following equipment: Gps plotter, Radio / cd player, Air conditioning, Anchor electric windlass, Bow thruster. . Security caution there is 2000.00 EUR. 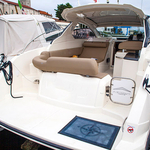 In our search engine you can quickly check avalailability of vessel SELAVI from Sibenik under the link: Motorboats Croatia.